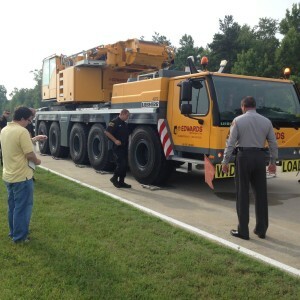 COVERLAB staff provide decision planning services to help improve commercial vehicle enforcement effectiveness. Troop supervisors are provisioned with custom views to track, measure and prioritize enforcement activities to areas and times where safety and infrastructure protection needs are the greatest. 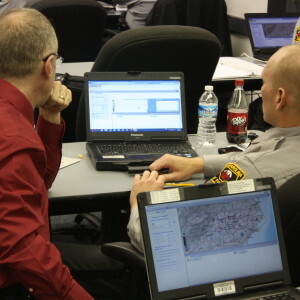 Data visualization helps troopers see crashes relative to enforcement activities. 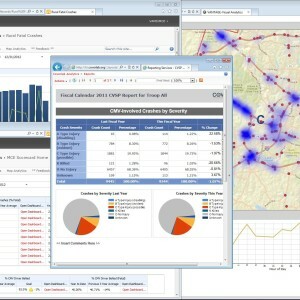 This provides intuitive intelligence for prioritizing locations, times, days, and types of enforcement activities needed for maximizing effectiveness. 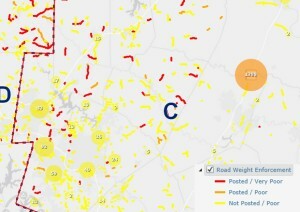 Interactive maps show relationships of weight screening locations to poor condition road segments and bridges. 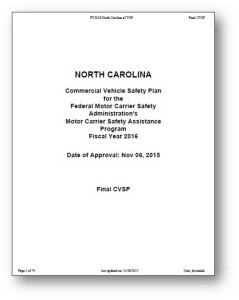 COVERLAB staff help craft federal grant applications (CVSP Basic, High Priority, ITD, etc. 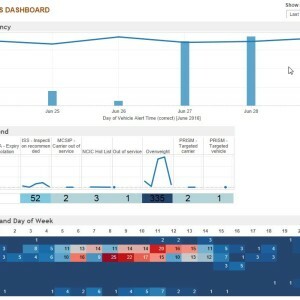 ), and help identify performance metrics that drive enforcement activities. 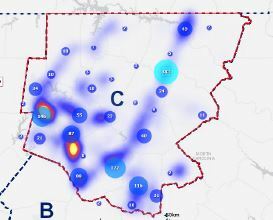 COVERLAB staff quantify the estimated lives saved, crashes avoided, and injuries prevented directly attributed to roadside enforcement activities. This translates to suggested personnel allocation optimized to improve the effectiveness of these activities. 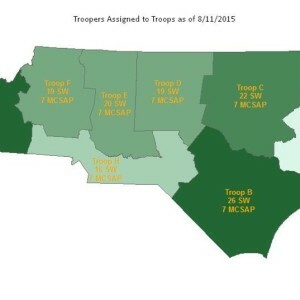 COVERLAB staff assist troops with using local data to develop troop-specific enforcement plans. This approach allows each troop to develop its own unique intelligent strategies subsequently maximizing resource effectiveness. We provide on-demand maps, data analysis, and field support for special enforcement operations. COVERLAB staff deliver quick answers to time-sensitive questions, delivered and formatted to distill complex issues to bottom line results. 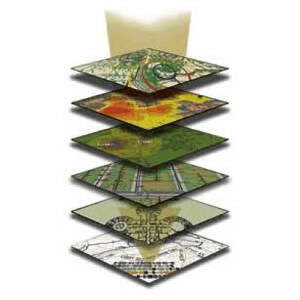 COVERLAB staff specialize in Geographic Information Systems (GIS). 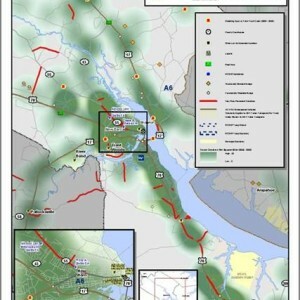 We produce a variety of geospatial mapping and analysis products for decision planning. We provide comprehensive Integrated Technology Deployment (ITD) program support, grant writing assistance, business continuance services, and performance measurement analytics. 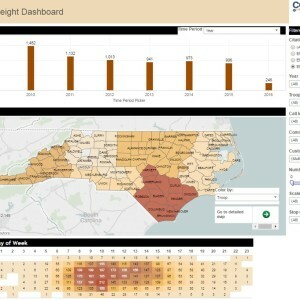 ITD dashboards show out-of-service and weight violations by time of day and day of week, virtual weigh station trends, alert frequencies, multiple “offenders”, and enforcement locations. COVERLAB staff provide field and special study research services to answer operations planning and operational effectiveness questions. 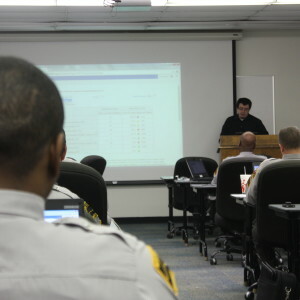 COVERLAB staff train troop supervisors and command staff to use decision support tools to help identify and prioritize enforcement activities that improve effectiveness. 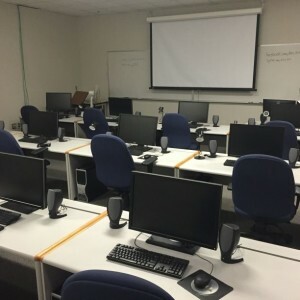 We offer a variety of webinar, multimedia, and video services, as well as a spacious 12-seat computer lab.